What could be wrong with the word “very”? Such an emphatic little word. It makes what comes next much more than it is on its own. Right? No. Not really. This is a short blog post. Or: This is a very short blog post? I walk fast to the bank. I walk very fast to the bank? What’s so wrong with that? I run to the bank. I sprint to the bank. I gallop to the bank. I race to the bank. Which is more vivid, more descriptive, more memorable? Which suggests that there might be a serious reason for why you’re sprinting to the bank? Which is better: Thanks for visiting my website. Or: Thanks very much for visiting my website? 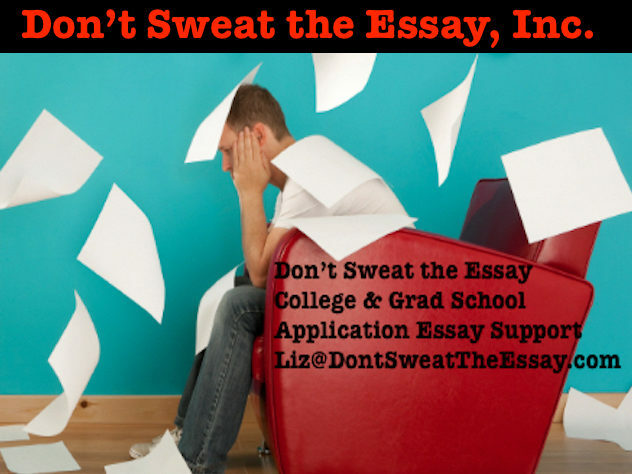 To talk about your college or graduate school application essays, send me an email: Liz@DontSweatTheEssay.com ~~ And thanks. Thanks very much.